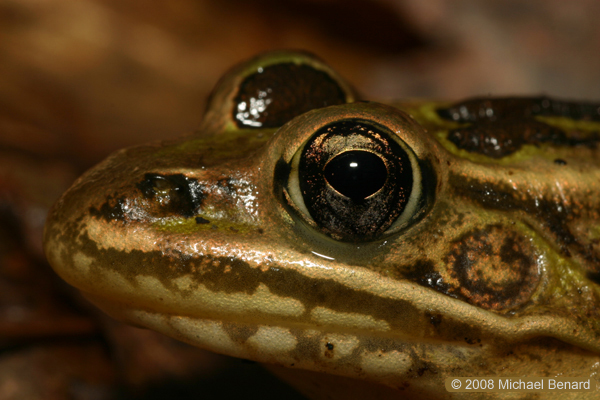 Here we see an adult Leopard Frog (Rana pipiens) photographed in Livingston County, Michigan. 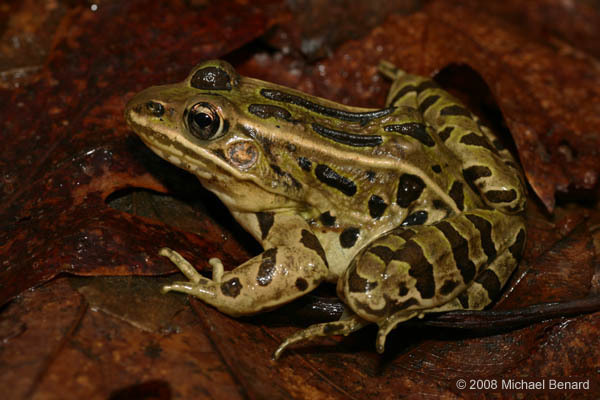 The color pattern of Leopard Frogs is similar to that of Pickerel Frogs. The color pattern begins to develop as Leopard Frog tadpoles approach metamorphosis.